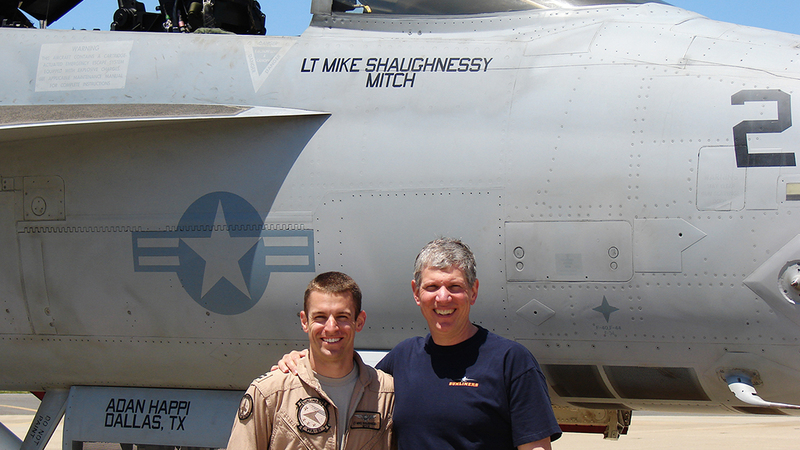 Orthopedic surgeon William Shaughnessy, M.D., watched the 21-plane "Missing Man" flyover with pride knowing his son Mike was one of the Navy pilots honoring the late President George H.W. Bush. In September 2011, during a celebration event honoring the 100th anniversary of the Mayo Clinic Department of Orthopedic Surgery, a seemingly innocent exchange between attendees — one of whom happened to be a former U.S. president — greased the wheels for a once-in-a-lifetime experience for the son of one Mayo orthopedic surgeon. Leading up to the event, William Shaughnessy, M.D., had approached his friend and fellow orthopedic surgeon Bernard Morrey, M.D., to express his regret at being unable to attend the celebration. Dr. Shaughnessy knew that meant missing a chance to meet President George H.W. Bush and his wife, Barbara. They had accepted an invitation from Dr. Morrey to "swing through" Rochester. During the 100th anniversary celebration of the founding of the department, President and Mrs. Bush expressed "their appreciation to Mayo Clinic for the care Mayo had provided them for many years," Dr. Morrey tells us. Mike continued his Navy career, not knowing that his life would once again intersect with the 41st president. But shortly after President Bush's death this past December, Mike – stationed at the same naval air station President Bush once was – was asked to fly one of the F/A-18 fighter jets the U.S. Navy sent to College Station, Texas, to perform a special "Missing Man" flyover during the president's funeral. Dr. Shaughnessy tells us that as he — and much of the nation — watched his son lead his division at a flyover speed of 300 miles per hour, an enormous feeling of pride washed over him. "Heidi and I have always been proud of Mike, but I'm particularly proud of his service to our country and of the two deployments he's made to the Middle East and Pacific," he says. "Mike has done and seen more in his short life than I could ever hope to. 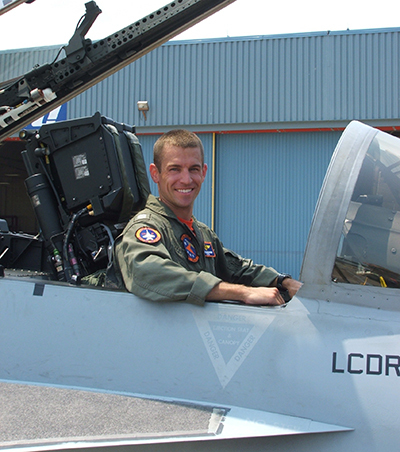 This was an amazing experience and tribute to an honorable man and naval aviator." You can watch that experience unfold for yourself here. Then fly yourself over to leave a comment below before using the social media tools atop this page to share this story with others. Learn more about Mayo Clinic's Department of Orthopedic Surgery.